So what’s new? A sign. I attended the Bates Area Civic Association (BACA) meeting on Monday and a neighbor from that block said she spoke with the owner/developer. That person informed her that they would be keeping the place a single family home. Even though they purchased the property back in June 2015 for $750K, they could break even, or profit, by giving it a super interior renovation and exterior restoration. For those of you just joining us in this story, here’s the quick summary. Back in the 00s a Korean church bought the property to do inner city mission work. Then they sold it to a developer, who then proposed to knock off the turret and build a 3rd story in order to make a 2 unit condo. 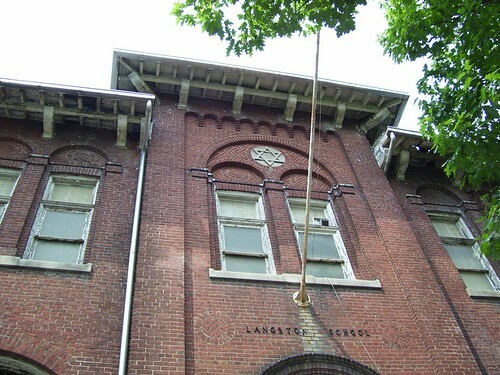 They hinted that if they were not allowed to do so they would demolish the whole building, as a matter of right. They played chicken, and lost. 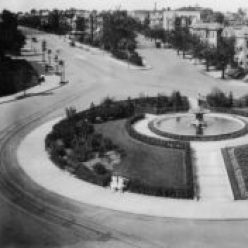 A hundred years prior, developer Harry Wardman built almost all the buildings on the block 319 R sat on, and this was the reasoning that was used to make the whole square a National Historic Landmark. 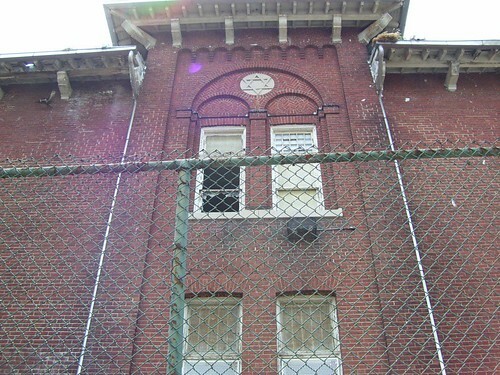 The landmark status prevented the developers from making any exterior changes. 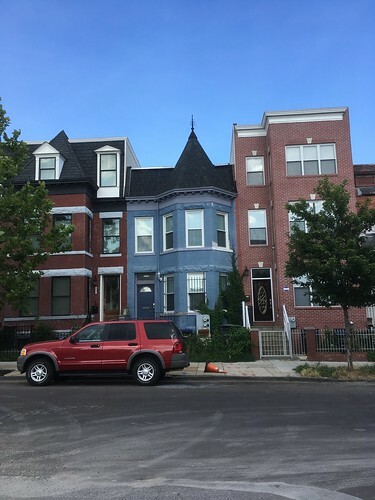 This probably could have been prevented if the turret was respected or if the architects who drew the second proposed drawing incorporated the turret, instead of plopping on a dunce hat on the proposed 3rd floor. 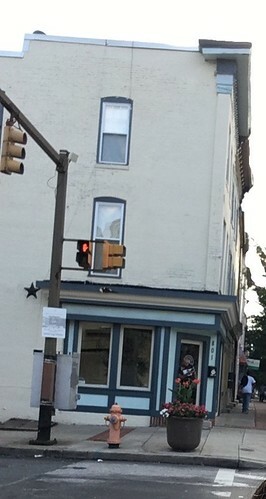 It had been done before around the corner on 4th St where a 3rd floor was added and the problem didn’t go past BZA. Considering Harry Wardman built all those townhouses as 2 story flats, I don’t see why it cannot become a 2 unit building. The building has a tad over 2,000 square feet, so dividing it into half wouldn’t create two too tiny units. 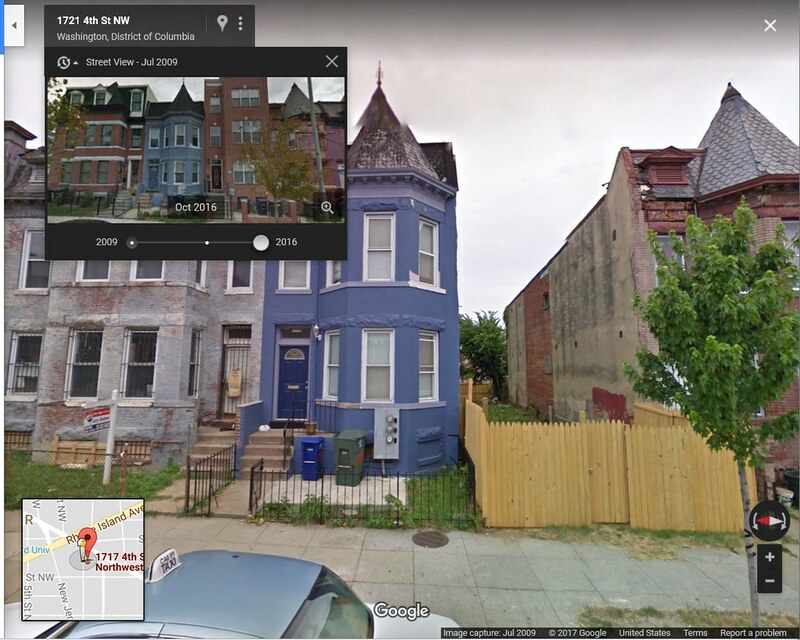 But there are costs to dividing up a single unit structure (character preservation vs affordable housing, ‘nother topic for another day) and it appears a nicely (not impressive but nice) renovated corner house like 319 R St NW would sell for 1.something million dollars. One point four if I were a betting woman. The house across the street for $1.25 mil is under contract, and 319 conceivably has 1 parking pad and those are worth gold! So we’ll see what happens and keep an eye on it. 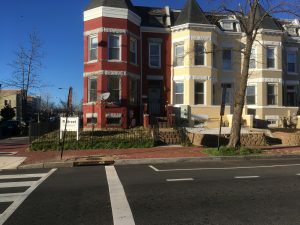 There are a handful million dolla properties for sale in Truxton Circle, so we’re not affordable no more. And this place gentrified some time ago, so stick a fork in that. 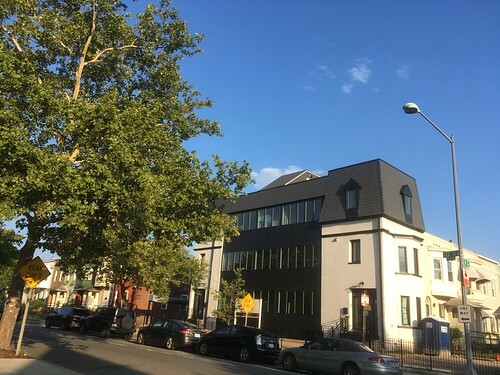 Yes, the Northwest Cooperative is still an affordable place and there are a few (a few) ‘affordable’ units in the pipeline for the vacant lots. I suspect it’s not easy to just get a rental at the Co-op, and there will probably be some competition for the new units. As far as something “affordable” to buy, you’re stuck with either condo units or handyman specials. Chapman Stables has two units under $400K, one being a studio the other a 1 bedroom. There’s a 1 bedroom in a smaller condo on Q St for $375K. 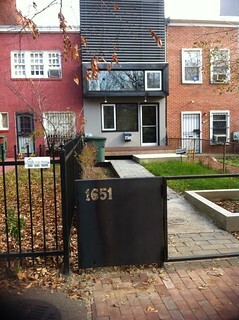 Townhouses in that general price range are handyman specials already under contract. 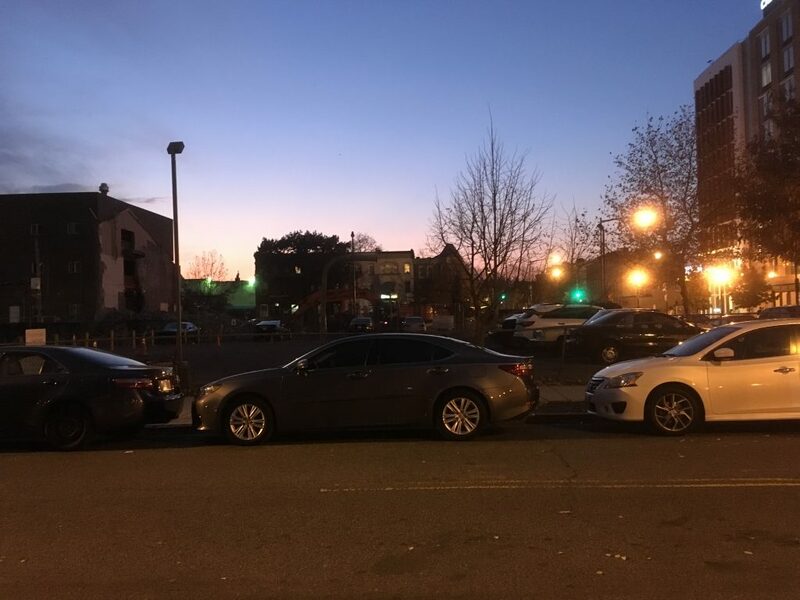 There is a house on my block that is on the market that requires some work to make livable and would be an okay purchase if there are no plans for an expansion. Personally, I’m not a fan of condos, as they come with condo boards, which sometimes contain crazy people. However, a condo is like a starter home. It’s not the best place to build equity, but it’s something. A person can move up from a condo to a house. But some say it is impossible to come up with the 20% down payment to buy a place. I’m going to tell you a little secret. You don’t need 20%. Twenty percent is very nice, it makes your mortgage payments cheaper, but it isn’t required. I know this because I did not have 20% or even 10% when I bought my house. I think I put down 3%. 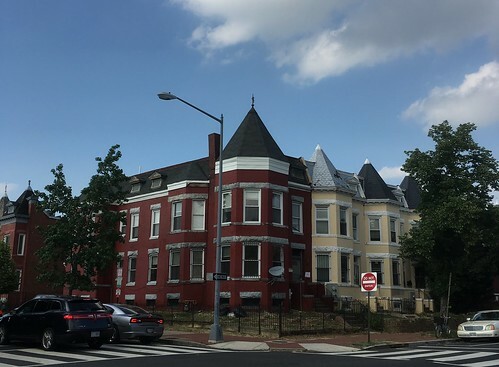 There are down payment assistance programs in DC to help. Well, what about people who can’t even save 3%? Houses and condos have problems, even new ones, and those problems cost money. If one cannot keep money in savings, as soon as one of these problems crop up, homeownership will sink the owner. 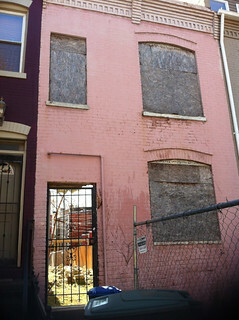 So the Help and I have been spending a lot of time in Baltimore, dealing with a rental property. So that’s why we found ourselves in the Washington Village (aka Pigtown) neighborhood on a Friday night. 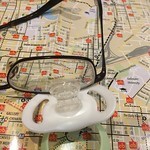 Taking a break from grouting a shower, we wandered out to get some dinner. There is a mix of commercial and residential buildings on the main strip of Washington Blvd, and I had passed by this shop (pictured) several times. It looked like it was an art gallery that might want to be a low key skate shop. That night the lights were bright and the art on the wall called out to me. At the time the shop’s operator was hanging out with some skinny art student, sketching a drawing, in the door and invited us to come in. We came in to take a closer look at the canvases on the wall and the t-shirts in the cubes. My dear spouse, the Help, is a super chatty fellow and began chatting up the operator, who explained that they feature different artists’ work and the owner’s tattoo art. Holy crap we’ve walked into a tattoo parlor. Very clever. People tend to object to tattoo parlors in their neighborhoods because, face it many tattoo storefronts have the charm of a low rent pawn shop. However, art galleries are cool and people like art galleries. Tattoo artists are artists and it totally makes sense to have them in an art gallery! And it makes sense to have their art alongside other artists. I think this, having a gallery/parlor, would make sense in other areas where a tattoo parlor wants to come in and pretty up the neighborhood. Today we have Airbnb, back in the day there was taking in lodgers. The day being 1940, 1930, 1920… you get the idea. 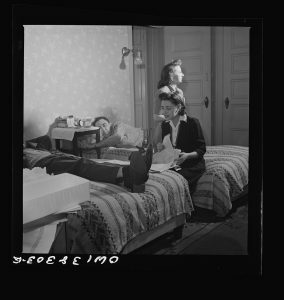 There also use to be things called boarding houses, where you could rent a bed, in a room that you shared with other people. You can do that too on Airbnb, but I haven’t tried it and haven’t been desperate enough to take that option. People were more communal back then. 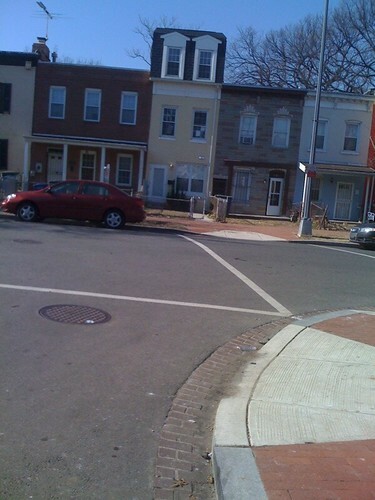 Anyway, you’d be hard pressed to find a rooming house in DC or anywhere these days. But they were an affordable form of housing for singles, when all a person needed was a warm clean place to sleep. It was common enough in the past that such living arrangements would pop up in fiction and radio plays of the early 20th century. I remember back when I was little, in Florida, hanging out with a kid from (elementary) school and her family lived in a boarding house. A family of 3-4 in one dark room in the back of a two story structure. I gather they could not afford to rent a house, and apartments were not a thing where I lived. That house was torn down some time ago. I’m not calling for the return of the rooming house. As a resident, I’d resist one coming into my neighborhood. No, I am just reminding readers of a type of housing that existed and is no longer an option. I think as a society we are slowly removing affordable options, even as we complain about the lack of affordable housing.